He said he was “delighted” to be asked. His work will be unveiled on 27 March. Every year Tate Britain commissions an artist to “develop a new work in response to the Tate Collection”. “As someone most usually involved with images and the linearity of narrative, I’m delighted by the invitation to devise an exhibit for a sculpture gallery,” he said. 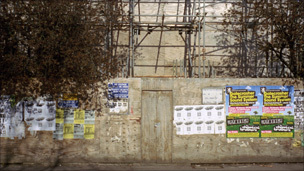 Tate Britain director Penelope Curtis said: “Patrick Keiller’s sustained interest in understanding the British landscape, and how it is represented, strikes a perfect chord with the Tate Collection.